How do I connect my Google Classroom to Edpuzzle? From the homepage, click the "Sign up" button while logged into your Google account. Select "Sign up as a teacher" or "Sign up as a student" accordingly. Click the "Sign up with Google" button and select your Google account when prompted. Now your new account is automatically connected to Google! You'll be able to use the "Log in with Google" button for added privacy and security. Log in to your Edpuzzle account with your email and password. Click the circle icon in the upper right corner and click on your name in the drop-down menu. Click on the "Settings" tab and scroll down to the section labeled "Connected accounts." Click "Connect" and select the same Gmail address you use for your Google Classroom. Note: Your account email and your Google Connected email can be different! First of all, we're really going to miss you! We hope you'll be back soon some day. 1. Click the circular profile icon in the upper right-hand corner. 3. Click the "Settings" tab. 4. Scroll down to the bottom of the page and click "Delete account." 5. Read and check all the boxes, then click the "Delete account" button. If you're a teacher and you’ve forgotten your password, click on "Forgot your password?" under the "Log in" button. 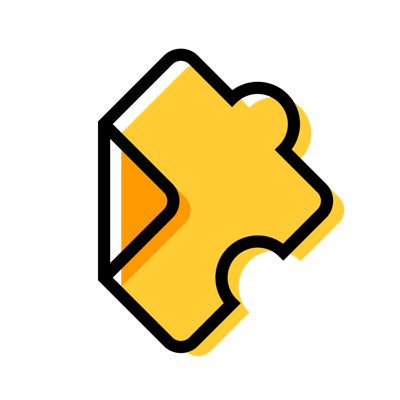 Enter your Edpuzzle email and we'll send you instructions to reset your password. If you can't find the reset email in your inbox, make sure to check your spam folder. If you still can’t find it, it’s possible that you didn't give the same email address that you used to sign up for Edpuzzle or that the email address you used is unable to receive messages from outside your network. If you can't remember which email you used to sign up, check your email history to see which account received Edpuzzle emails in the past. How do I update my personal information or preferences? 1. From anywhere on the site, click on your circular profile icon found in the top right-hand corner of the screen. 1. From the profile page, type in your new name in the "Profile" tab under "My information." 1. On your profile page, click on the "Settings" tab. 2. Under "My account," type in your new email. 1. On your profile page, click "Settings." 2. Under "My account," click "Change password." 3. Type in your current password followed by your and new password. 1. From the profile page, click "Settings." 2. Under "Connected accounts," click "Disconnect." 3. Connect a new account. 1. From the profile page, click on "Settings." 2. Under "Contact preferences," select your email preferences. If you have any questions about your data privacy, you can also email us at privacy@edpuzzzle.com. How can I change my school? Your classes, assignments, and student data will be removed once you've switched schools, to protect student privacy. Your content will be saved, so no need to worry about losing videos! If you know you’ll be moving schools, please change your school in Edpuzzle as soon as possible! If your old school disables your email address and you’re not able to log in, we won't be able to recover your account. Click the circular profile icon in the upper right-hand corner. Click on your name to access your profile. Click the "Change school" button found next to your current school name. A pop-up menu will appear – read and check each point listed, then click the "I AGREE" button. Select your new school and subject, and click on the "Join school" button. You can only switch schools once every six months. Once you’ve changed schools, you'll see a message with the date when you'll be able to change schools again. If you lost access to your Edpuzzle account because you were signing in with Google and your Google email is no longer valid, let us know and we'll help you get back into your account so that you can keep all of your awesome video lessons! Alternatively, you can go to www.edpuzzle.com/logout. Hope to see you again soon!